This unforgettable and exclusive figure features Jesse in his iconic green hazmat suit but this one glows in the dark! 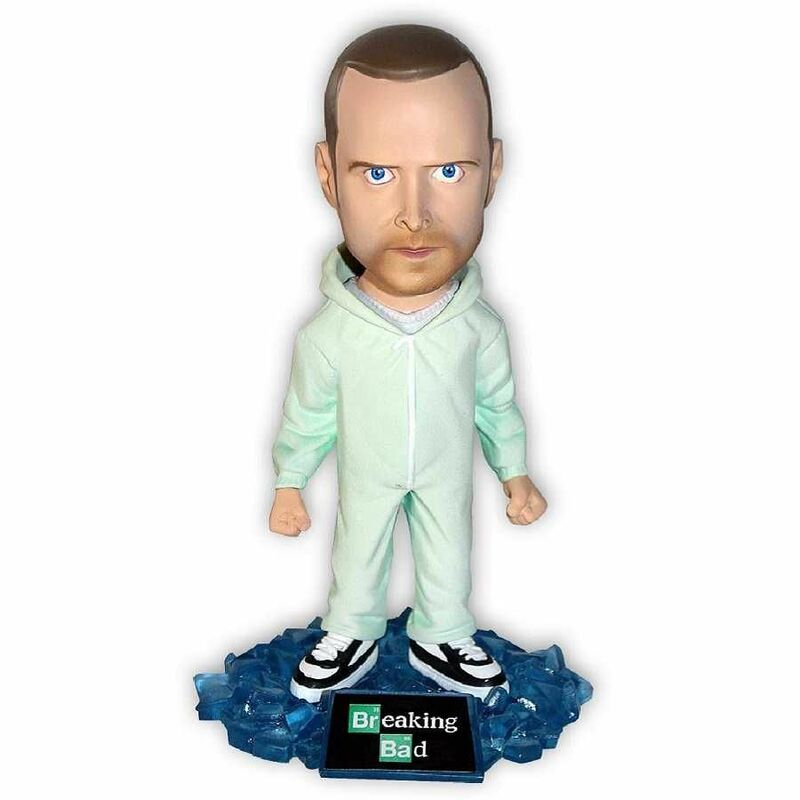 Mezco Toyz introduces Jesse Pinkman from Sony Picture Television's critically acclaimed, award-winning, hit series Breaking Bad and he has now immortalised as a bobble head. Jesse is sporting a freshly shaved head and stands victoriously on the translucent blue crystals his empire was built on. 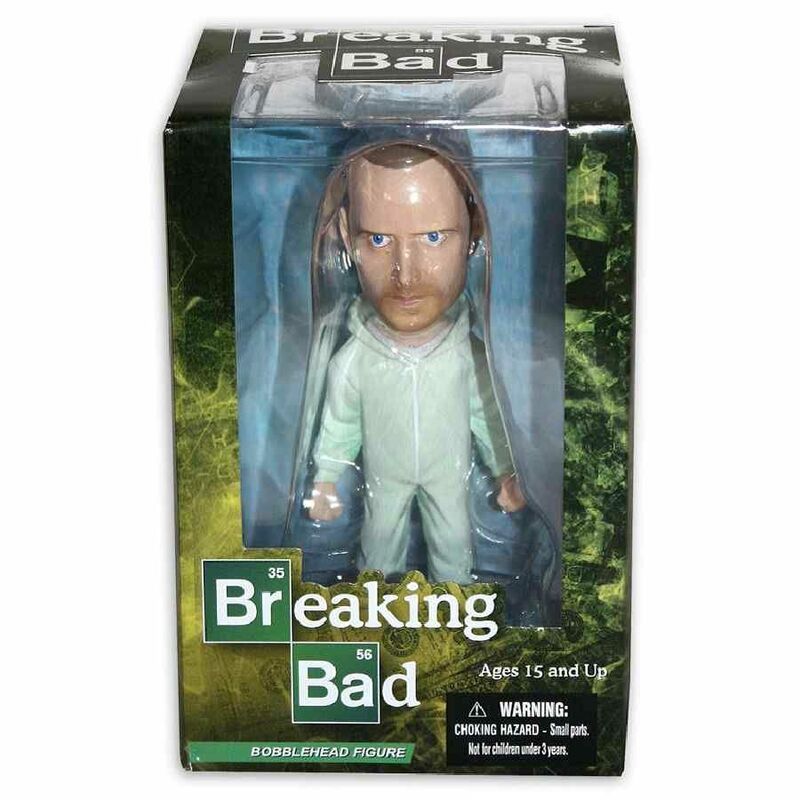 Jesse and base stand at 6" tall and features bobble action and he comes complete in a collector friendly box.